While our SHOT Show coverage concentrated mainly on rifles and rifle accessories, we did find two notable handgun offerings from Sig Sauer: 1) a new .22LR version of the 1911; and, 2) a re-introduction of the classic Sig P210, with some enhancements. There are a handful of 22-cal 1911s on the market. Some, like the Chiappa, leave much to be desired, both in functionality and build quality. By contrast, the new Sig Sauer 1911-22 looks and handles like a high-grade .45acp 1911. CLICK for More Photos. The grip safety and ambidextrous frame safeties work just like those on a well-built centerfire 1911. The frame ergonomics and grips are identical to the classic 1911 design. The sights are good, and most importantly, the single-action trigger is light and crisp — just as you’d expect on a good, tuned 1911. We were very impressed with the gun, especially after noting the MSRP is just $399.00. We should add, however, that Germany’s GSG also makes a similar 1911-22 that costs less. You can buy a GSG 1911-22 for about $350.00 at larger gun dealers. The Sig Sauer 1911-22 we tried had nicer grips and a lighter trigger pull than the GSGs we’ve sampled. Sig 1911-22 Photos courtesy Osage County Guns and SigSauerGuns.com. Prominently displayed at Sig Sauer booth was the Sig P210 “Legend”, an updated version of the classic Sig P210. The new version has been released with an American-style mag release at the rear of the trigger guard, and some subtle modifications. The original Sig P210 is a genuine classic, perhaps the most accurate 9mm duty pistol ever created. Because of the high quality of its construction and careful hand-fitting, the P210 has never been cheap. The latest “Legend” version will be priced about $2,200.00 in the USA. The new P210 “Legend” continues to offer superb accuracy, with some enhancements for target shooters. As expected, the P210 Legend’s trigger pull was sweet indeed — light, crisp, with no creep. Let me put it this way — the Legend’s trigger is smoother and lighter than what you’ll get on most custom 1911s. The optional, new rear target sight has a 3-position slider that adjusts the zero for three different target distances. That’s a smart feature we’d like to see on other target pistols. In the video below we show the Sig Sauer 1911-22 and Sig P210 “Legend”. 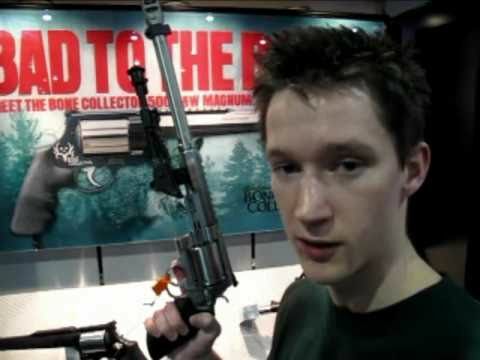 The Video starts off with a visit to the Smith and Wesson booth. 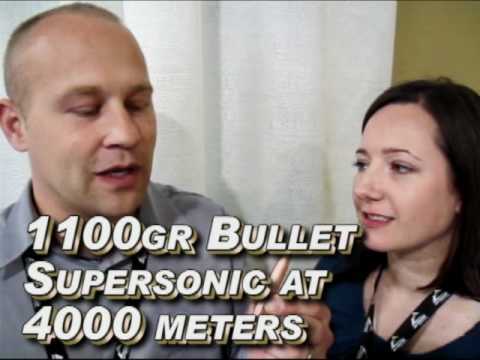 Share the post "SHOT Show Report: Sig Sauer 1911-2 and P210 “Legend”"
At Media Day, held prior to SHOT Show 2011, we had the chance to try out the D.O.A. Tactical Shooting Bench. The sturdy D.O.A. bench, selected by Media Day organizers, is also used by military organizations, including the USMC, the U.S. Army Sniper Training Schools, and the U.S. Special Operations Command (SOCOM). These benches are made in Utah by D.O.A. Tactical, a USMC Veteran-owned company. During Media Day, the D.O.A. benches provided a solid base for our limited shooting sessions. They seemed well-built and solid. D.O.A. portable benches start at $475.00 (less shipping), but prices are slated to increase on February 1, 2011. To place an order before the price hikes, contact D.O.A. at (760) 953-9067. The video below shows how quickly and easily a D.O.A. bench can be assembled and deployed. Share the post "MEDIA Day Report: D.O.A. Tactical Shooting Bench"